Turrialba Volcano, located in central Costa Rica, emits a translucent plume of volcanic gases in this natural-color satellite. 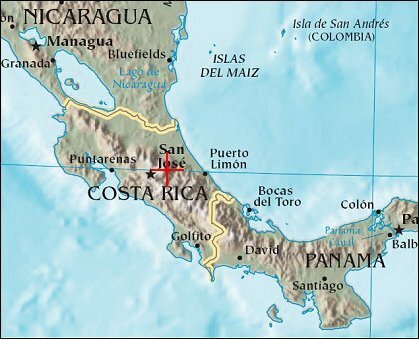 According to the RED Sismológica Nacional (Costa Rican National Seismological Network), activity at the volcano increased markedly on January 4, 2010. Strong, long-lasting volcanic tremors were accompanied by gas plumes over the volcano, and emissions of ash began on January 5th. The "jet-type noise" of gas and ash rushing out of fumaroles was heard several kilometers away. On January 21, La Nación reported that potato and carrot farmers were asked to leave fields near the volcano’s summit due to further increases in gas emissions. The barren summit region of the 3,340-meter-high Turrialba appears gray and brown, while the volcanic plume is a hazy blue. Fields and pastures are light green, in contrast to dark green forest that covers the high-elevation ridges. 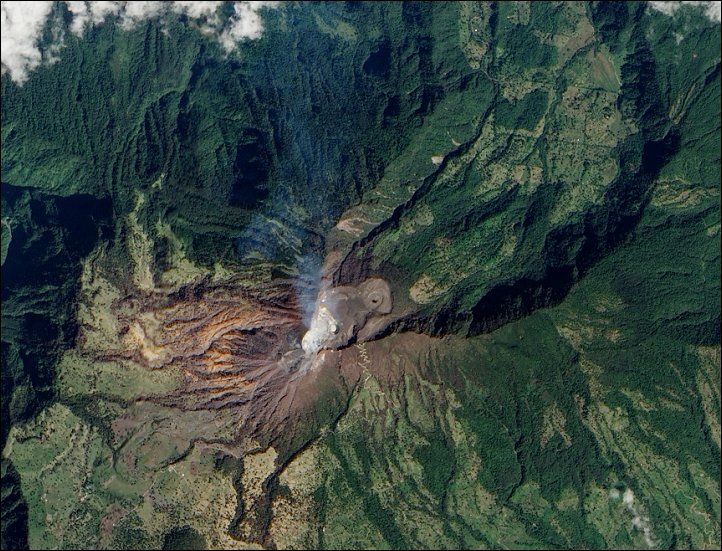 Since 2007, frequent acid rain showers caused by activity at the volcano killed or damaged much of the vegetation to the southwest of the summit, leaving the area brown and orange.